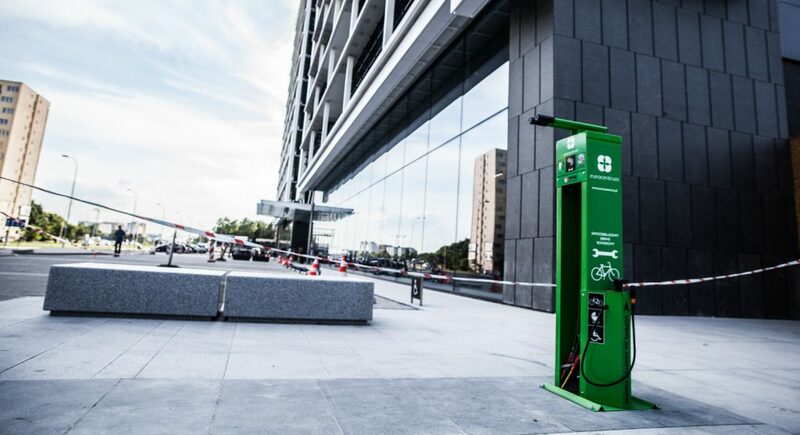 The bike repair station – IBOMBO PRS-sV1 is also designed for use in public places, although its construction does not allow to put the bike on the grip. (f. ex. to change used tools). the wrench will as well be handed over to each customer. IBOMBO is an advertising area with the surface of about 0,25 m2. (the sticker design is included in the price).